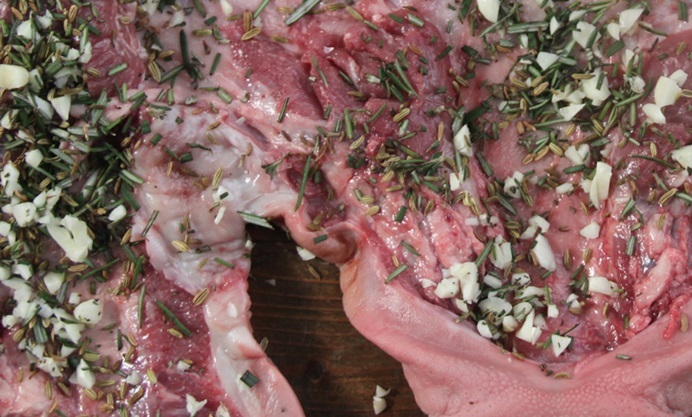 Pig’s head is considered a delicacy all over Europe and even America, however we Brits tend to shy away from this cheap cut as often the complexity of preparation outweighs the rewards. Tom Hunt shows us how to transform this forgotten food into a feast for thirty. If you are lucky enough to have a sous vide machine at home, vacuum pack the meat and cook in a sous vide bath at 85˚C for 10 hours then chill into iced water. The dish goes well with pickled gherkins and mustard and is delicious hot or cold in sandwiches. 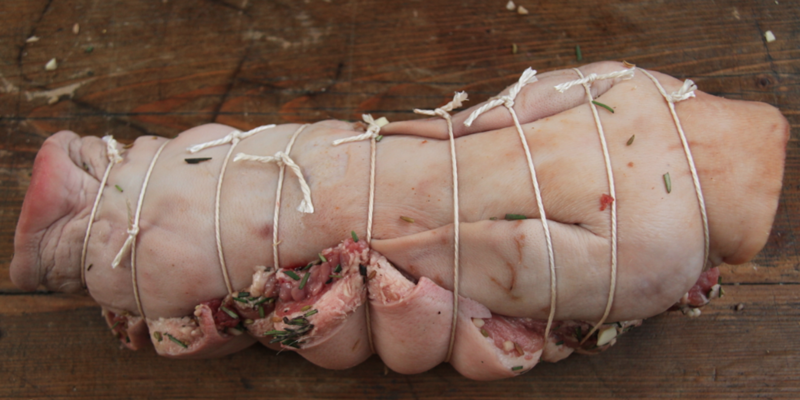 Try slicing the pig’s head and serving with salad as Tom Kitchin does in his recipe. Alternatively, you can braise pig’s head like Matt Gilan in his recipe for Braised pig’s head with black pudding and pumpkin.